Burkholderia cepacia complex (BCC), or simply Burkholderia cepacia, is a group of catalase-producing, lactose-nonfermenting, Gram-negative bacteria composed of at least 20 different species, including B. cepacia, B. multivorans , B. cenocepacia , B. vietnamiensis , B. stabilis , B. ambifaria , B. dolosa , B. anthina , B. pyrrocinia and B. ubonensis. B. cepacia is an opportunistic human pathogen that most often causes pneumonia in immunocompromised individuals with underlying lung disease (such as cystic fibrosis or chronic granulomatous disease). Patients with sickle-cell haemoglobinopathies are also at risk. The species also attacks young onion and tobacco plants, as well as displaying a remarkable ability to digest oil. In molecular biology, elastase is an enzyme from the class of proteases (peptidases) that break down proteins. 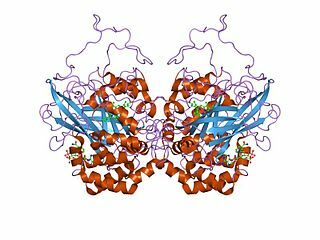 In particular, it is a serine protease. In biology and chemistry, gelatinase is a proteolytic enzyme that allows a living organism to hydrolyse gelatin into its sub-compounds that can cross the cell membrane and be used by the organism. It is not a pepsin. Person-to-person spread has been documented; as a result, many hospitals, clinics, and camps have enacted strict isolation precautions for those infected with BCC. Infected individuals are often treated in a separate area from uninfected patients to limit spread, since BCC infection can lead to a rapid decline in lung function and result in death. Diagnosis of BCC involves culturing the bacteria from clinical specimens, such as sputum or blood. BCC organisms are naturally resistant to many common antibiotics, including aminoglycosides and polymyxin B.  and this fact is exploited in the identification of the organism. The organism is usually cultured in Burkholderia cepacia agar (BC agar) which contains crystal violet and bile salts to inhibit the growth of Gram-positive cocci and ticarcillin and polymyxin B to inhibit the growth of other Gram-negative bacilli. It also contains phenol red pH indicator which turns pink when it reacts with alkaline byproducts generated by the bacteria when it grows. Polymyxin B is an antibiotic primarily used for resistant Gram-negative infections. It is derived from the bacterium Bacillus polymyxa. Polymyxin B is composed of a number of related compounds. It has a bactericidal action against almost all Gram-negative bacilli except the Proteus and Neisseria genera. Polymyxins bind to the cell membrane and alter its structure, making it more permeable. The resulting water uptake leads to cell death. Polymyxins are cationic, basic peptides that act like detergents (surfactants). Side effects include neurotoxicity and acute renal tubular necrosis. Polymyxins are used in the topical first-aid preparation Neosporin. Alternatively, oxidation-fermentation polymyxin-bacitracin-lactose (OFPBL) agar can be used. OFPBL contains polymyxin (which kills most Gram-negative bacteria, including Pseudomonas aeruginosa ) and bacitracin (which kills most Gram-positive bacteria and Neisseria species). It also contains lactose, and organisms such as BCC that do not ferment lactose turn the pH indicator yellow, which helps to distinguish it from other organisms that may grow on OFPBL agar, such as Candida species, Pseudomonas fluorescens , and Stenotrophomonas species. Bacitracin is a mixture of related cyclic peptides produced by organisms of the licheniformis group of Bacillus subtilisvar Tracy, first isolated in 1945. These peptides disrupt Gram-positive bacteria by interfering with cell wall and peptidoglycan synthesis. Piperacillin is a broad-spectrum β-lactam antibiotic of the ureidopenicillin class. The chemical structure of piperacillin and other ureidopenicillins incorporates a polar side chain that enhances penetration into gram-negative bacteria and reduces susceptibility to cleavage by gram-negative beta lactamase enzymes. These properties confer activity against the important hospital pathogen Pseudomonas aeruginosa. Thus piperacillin is sometimes referred to as an "anti-pseudomonal penicillin". B. cepacia was discovered by Walter Burkholder in 1949 as the cause of onion skin rot, and first described as a human pathogen in the 1950s. It was first isolated in patients with cystic fibrosis (CF) in 1977 when it was known as Pseudomonas cepacia. In the 1980s, outbreaks of B. cepacia in individuals with CF were associated with a 35% death rate. B. cepacia has a large genome, containing twice the amount of genetic material as E. coli . Neomycin/polymyxin B/bacitracin, also known as triple antibiotic ointment and sold under the brand name Neosporin among others, is an antibiotic cream that contains neomycin, polymyxin B, and bacitracin. It is used to prevent infections. As recently as 2018, there have been calls to remove neomycin from the product, and other competing products containing only polymyxin B and Bacitracin A are available. Chromobacterium violaceum is a Gram-negative, facultative anaerobic, non-sporing coccobacillus. It is motile with the help of a single flagellum which is located at the pole of the coccobacillus. Usually, there are one or two more lateral flagella as well. It is part of the normal flora of water and soil of tropical and sub-tropical regions of the world. It produces a natural antibiotic called violacein, which may be useful for the treatment of colon and other cancers. It grows readily on nutrient agar, producing distinctive smooth low convex colonies with a dark violet metallic sheen. Some strains of the bacteria which do not produce this pigment have also been reported. It has the ability to break down tarballs. Burkholderia gladioli is a species of aerobic gram-negative rod-shaped bacteria that causes disease in both humans and plants. It can also live in symbiosis with plants and fungi and is found in soil, water, the rhizosphere, and in many animals. It was formerly known as Pseudomonas marginata. Burkholderia pyrrocinia is a Gram-negative bacterium which has been found in soil as well as in the sputum of patients with cystic fibrosis. Ashdown's medium is a selective culture medium for the isolation and characterisation of Burkholderia pseudomallei. Pseudomonas infection refers to a disease caused by one of the species of the genus Pseudomonas. Walter Hagemeyer Burkholder was an American plant pathologist who helped establish the role of bacteria as plant pathogens. He was awarded a Ph.D. by Cornell University in 1917 and subsequently appointed as professor of plant pathology. Burkholderia contaminans is a gram-negative, bacterium from the genus of Burkholderia and the family of Burkholderiaceae and belongs to the Burkholderia cepacia complex, which was isolated from cystic fibrosis patients in Argentina. Burkholderia acidipaludis can cause biliary sepsis. Ceftazidime/avibactam is a combination drug composed of ceftazidime, a cephalosporin antibiotic, and avibactam, a β-lactamase inhibitor. It is used for the treatment of serious bacterial infections. Ornibactin is a siderophore, or small iron-binding compound secreted by bacteria to transport iron into the cell. Ornibactin is produced by Burkholderia cenocepacia under iron-deficient conditions. B. cenocepacia is known to opportunistically infect humans, specifically ones suffering from cystic fibrosis. ↑ Lipuma J (2005). "Update on the Burkholderia cepacia complex". Curr Opin Pulm Med. 11 (6): 528–33. doi:10.1097/01.mcp.0000181475.85187.ed. PMID 16217180. ↑ Mahenthiralingam E, Urban T, Goldberg J (2005). "The multifarious, multireplicon Burkholderia cepacia complex". Nat Rev Microbiol. 3 (2): 144–56. doi:10.1038/nrmicro1085. PMID 15643431. ↑ Torok, E.; Moran, E.; Cooke, F (2009). Oxford Handbook of Infectious Diseases and Microbiology. Oxford University Press. ISBN 978-0-19-856925-1. 1 2 McGowan J (2006). "Resistance in nonfermenting gram-negative bacteria: multidrug resistance to the maximum". Am J Infect Control. 34 (5 Suppl 1): S29–37, discussion S64–73. doi:10.1016/j.ajic.2006.05.226. PMID 16813979. ↑ Becton, Dickinson and Company (2003). BD Difco and BD BBL Manual: Manual of Microbiological Culture Media. Franklin Lakes, New Jersey: Becton Dickinson. pp. 422&ndash, 423. ↑ "OFPBL agar". Remel Technical Manual. Lenexa, Kan: Remel. 1997. ↑ Avgeri SG; Matthaiou DK; Dimopoulos G; Grammatikos AP; Falagas ME (May 2009). "Therapeutic options for Burkholderia cepacia infections beyond co-trimoxazole: a systematic review of the clinical evidence". Int. J. Antimicrob. Agents. 33 (5): 394–404. doi:10.1016/j.ijantimicag.2008.09.010. PMID 19097867. 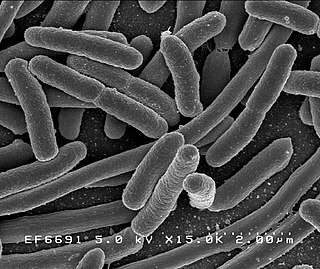 ↑ "Key Found to Kill Cystic Fibrosis Superbug". Innovations Report. April 25, 2007. Retrieved April 26, 2007. ↑ Ortega XP; Cardona ST; Brown AR; et al. (May 2007). "A Putative Gene Cluster for Aminoarabinose Biosynthesis Is Essential for Burkholderia cenocepacia Viability". J. Bacteriol. 189 (9): 3639–44. doi:10.1128/JB.00153-07. PMC 1855895 . PMID 17337576. ↑ Burkholder WH (1950). "Sour skin, a bacterial rot of onion bulbs". Phytopathology. 40 (1): 115–7. ↑ Lararya-Cuasay LR, Lipstein M, Huang NN (1977). "Pseudomonas cepacia in the respiratory flora of patients with cystic fibrosis". Pediatr Res. 11: 502. doi:10.1203/00006450-197704000-00792. Barlasov J, Sutton S, Jakober R (April 29, 2014). "Recovery of Stressed (Acclimated) Burkholderia cepacia Complex Organisms". American Pharmaceutical Review. 17 (3): 16–24. Retrieved January 29, 2016. Loutet SA, Valvano MA (October 2010). "A decade of Burkholderia cenocepacia virulence determinant research". Infect. Immun. 78 (10): 4088–100. doi:10.1128/IAI.00212-10. PMC 2950345 . PMID 20643851. "Burkholderia cepacia complex". NCBI Taxonomy Browser. 87882.